The twenties, bootlegging, spirits and a sparkling romance. That’s what Bitter Spirits brings to the table in one neat package. Aida is an independent spirit medium that travels the country with her act. One night she meets Winter through her boss. He is one of the biggest bootleggers (both metaphorically and literally) in San Francisco. They immediately feel attracted – but is there more than just attraction? The first half of Bitter Spirits focusses a lot on the budding romance between Aida and Winter. 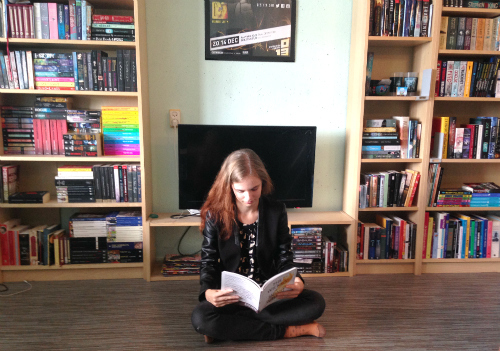 Because there are barely any side plots – something that’s usually a good thing – the book is very intense. We get scene after scene with both of them in it, and tons of attraction. It was all well done in my opinion, especially because Bitter Spirits manages to stay clear of the instalove phenomenon, but a bit much for the non-romance reader that I am. It was good that they spent time together to get to actually know each other before they started something. The main mystery hinges on the fact that there is someone trying to harm Winter. As a big person in the San Francisco illegal alcohol trade and thus the underworld, there are plenty of candidates. The resolution of the mystery is a bit odd, but I guess it works for the story. Bitter Spirits brings an interesting setting to the table, but only skirts the flapper lifestyle. Chinatown, and other Chinese characters were heavily represented though. Aida was very stubborn and proud, something I really appreciate in heroines (probably because it reminds me of myself). The resolution of the romance was sweet. 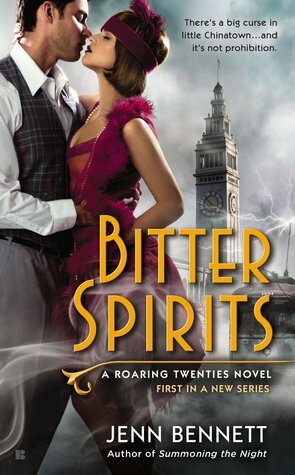 Although Bitter Spirits wasn’t the Gatsby-esque book I was expecting, it delivered on a decent romance, fun plot, and original setting. There’s a big curse in little Chinatown…and it’s not Prohibition.